I don’t know who created this creepy little elf guy to trick their kids into being good with his crazy high jinks at Christmastime, but he kind of gives me the willies and, in my humble, but wildly accurate opinion, I think it’s time to kick the Elf off the Shelf. 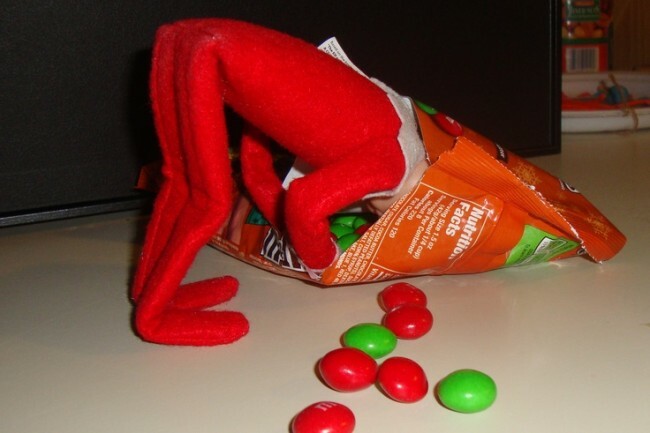 Lurks that darn Christmas elf! To make all too soon. From his high shelfy lair. In fear as they play. When they wake from their slumber? Leaving his messes all over the place. Than this crazy elf biz. Taught us that we should. Ok- so maybe I am more creeped out by the elf than my children are. And I’m pretty sure I would be the one lying awake at night in horror because I forgot to move that dumb little guy and I don’t have the energy or brain power to come up with anything creative at 11pm. Seriously, though, do we not have enough on our plates already this time of year without having to worry about helping an elf make messes all over our house that we will then have to clean up? What is this madness? And how much time is that elf taking away from all the meaningful and magical things we could be doing with our children to help them feel the joy of the season? You know, like walking our children through Christmas-light-laden town squares in sub-zero temperatures and then letting them drink scalding hot chocolate that removes every taste bud from their little tongues so they can cry all the way home? 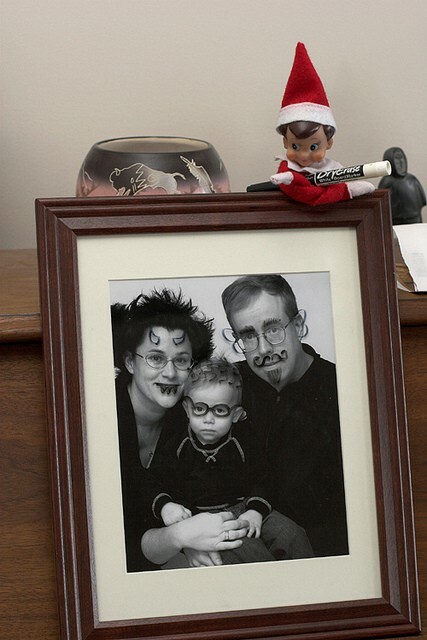 Do you really want to miss out on those memories because you are too busy re-positioning some mischievous little elf? I didn’t think so. But, I’m not heartless. I mean, I don’t want to leave the creepy little guy unemployed just before Christmas. I’m sure he has mouths to feed. So, I have taken the liberty of helping him expand his resume with a few more job titles that I think could suit him well. Like Elf on the Porch for instance. His job description would include watching for neighbors approaching your porch with plates of fruitcake, at which point he could give them a dirty look that would send them screaming into the night. Or, how about Elf in the Tree– he could perch in the branches of your beautifully decorated Christmas tree waiting for a toddler to start waddling towards it with the intention of wreaking mass destruction and then do a creepy little elfy giggle that would make them avoid the tree like the plague for the rest of the season. Or maybe Elf in the Closet– you know the one where you are hiding all the Christmas gifts? He could hang out there until your 12 year old decides to sneak a peak, only to be met with his shifty little eyes that will make him slam the door so quick you can be sure your secret will stay safe until Christmas morning. And maybe he’s tired of the seasonal gig. Maybe he’d like something a little more permanent and stable to support himself. The Elf on the Porch could also be great year round to ensure that your teenage daughter’s doorstep scene at the end of a date stays as innocent as you would like it. Nothing like moving in for a kiss only to be interrupted by a disapproving elf staring at you holding a mini shot gun. (Don’t worry. It would just be a pretend one.) And your secret candy stash your kids keep sneaking into? Not with creepy elf on guard. Of course, you’ll have to find a way to keep him from eating it all himself… But I think these jobs will really give him the opportunity to use his seamstress-given gifts to their fullest potential. Sometimes we all need a swift kick off our cozy little shelves- you know what I’m sayin’? I’m doing this guy a favor. I applaud your creativity people. And honestly, if it brings you and your children joy and you love elfing it up, more power to you. 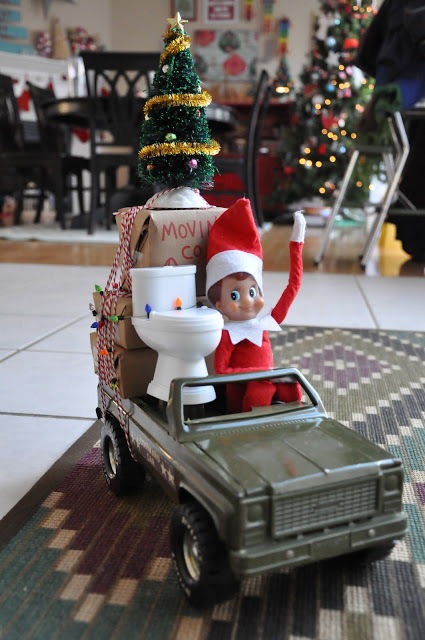 The service-assignment elf is actually a pretty good idea. 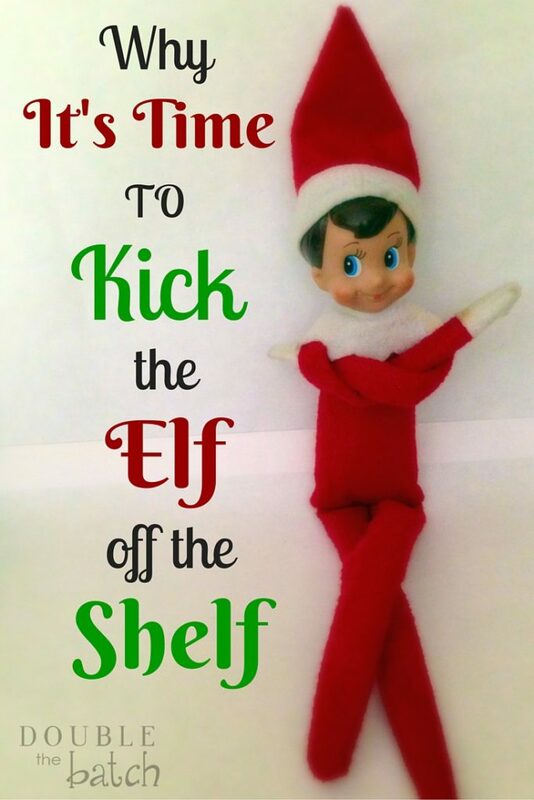 But, I just want exhausted mothers everywhere to know that doing the elf on the shelf tradition is not a requirement for you to be a good and fun mom during the holidays. 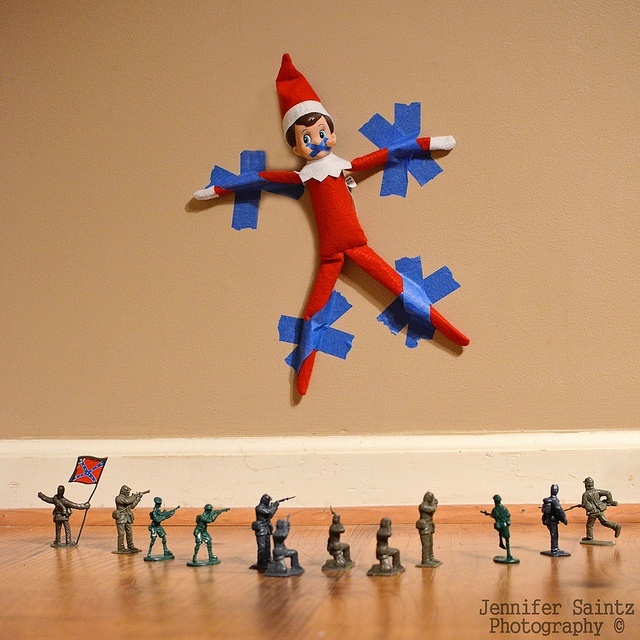 I can barely remember to make sure the tooth fairy shows up at my house, so I’m pretty sure I would be a miserable failure at the elf on the shelf game. Because of this, I choose to sit this one out… And because-no joke-he’s creepy and I don’t need his beady little eyes following me where ever I go. Back off elf-man. My kids and I are perfectly capable of messing this house up all on our own. We don’t need any help from you, thank you very much.